Over the past 17 years, Tonya Hogue has inspired countless young minds at Mayflower Elementary School. Most of that time has been spent in the fourth-grade classroom teaching science and unlocking the mysteries of the natural, physical and engineering universe. You read that right – engineering, in fourth grade. Seems times have really changed in elementary school, and Hogue has been on the leading edge of it. “I’m working on building foundations that they’re going to definitely use later on in their science classes in the future,” she said. “We do a lot of hands-on experiments. We may build toilet paper tube roller coasters for forces in motion. We do coding; this year, we just started a tinkering in STEP. It’s kind of a mixture between tinkering and a maker space, so the kids get to code using Code.org, and they’re going to start using Scratch very soon to practice coding skills. 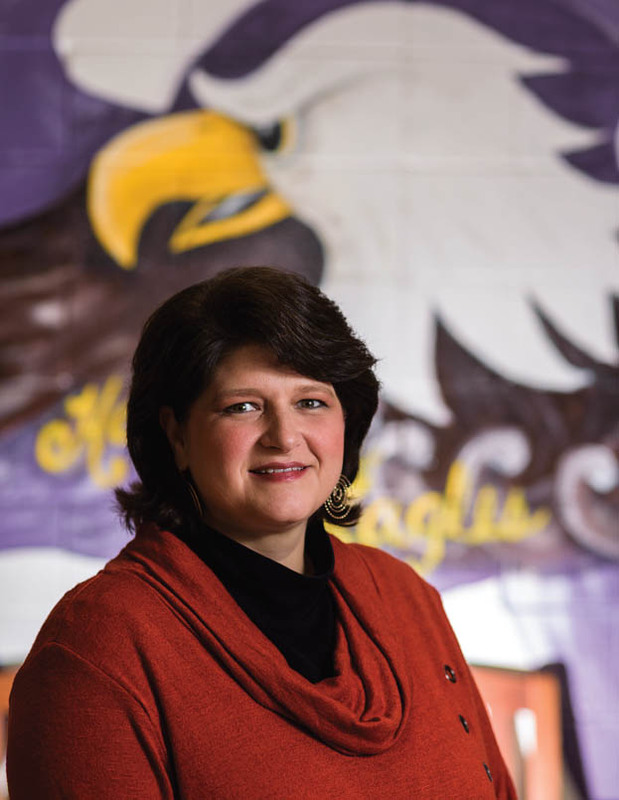 Hogue’s creativity and effectiveness in the classroom once earned her an all-school Teacher of the Year Award, but lately the stage has become much larger. She was recently named one of six state finalists for the 2018 Presidential Award for Excellence in Mathematics and Science Teaching, topping a field of 51 Arkansas educators. “When I first found out that I was nominated I was kind of surprised. I was like, ‘Oh, thank you.’ Then I was like, ‘Oh, wait a minute. What have you done?’” said Hogue, who was nominated in the science category. “I got a little nervous then, like oh I’m going to have to really step it up. I’m always looking for what can I do better, how can I grow, what do the students need? Hogue grew up in Conway and attended Conway Public Schools throughout. After high school, she earned her bachelor’s degree in early childhood from the University of Central Arkansas and spent the first five years of her educational career as a paraprofessional while earning her master’s degree in special education. Over the course of her career, she’s always looked for new ways to challenge students, something that’s more difficult than it sounds with today’s youngsters, even in the lower grades. “The typical fourth-grader today is exposed to more technology, so they are fearless when it comes to technology,” she said. “It’s easy for them to pick up on it. They’re willing to take the risk to do it and they’re willing to stick with it and problem solve. Responding to students’ needs recently led her to take over the fledgling high school robotics program in addition to her elementary school responsibilities. That program, which reunited her with several former students, was a natural fit. “I have always been good at building,” she said. “Growing up I would always work with my dad, so I knew quite a bit about building things and how things go together and electrical. We teach electrical circuits in fourth grade, so that just kind of went right along with what I was already doing. A lifetime educator, Hogue said she’s been awarded many times over with the joy of watching her students learn and grow. “Research says that they learn better by doing,” she said. “(Teaching is) giving them that confidence to take a risk and problem solve on their own and you be the support person to guide them to make sure they’re doing the right thing or headed in the right direction.